Team Germany has been quite dominant in the ROC Nations Cup, netting eight titles, including six-in-a-row from 2007 to 2012. The team has traditionally done very well with Sebastian Vettel paired with Michael Schumacher. For the 2019 iteration in Mexico City, Vettel was back, paired with Michael’s son Mick. The two were looking quite good for the Nations Cup this year, but a narrow 0.8 second victory of motorsport seasoned veteran Tom Kristensen over rookie Mick Schumacher netted the victory for Team Nordic, Kristensen and teammate Johan Kristoffersson. It would seem that it was two-time World Rallycross champ Kristoffersson was the linchpin in Team Nordic’s operation, as he absolutely dominated proceedings Saturday, carrying the team through to the final, but ultimately losing a bout when it really mattered. 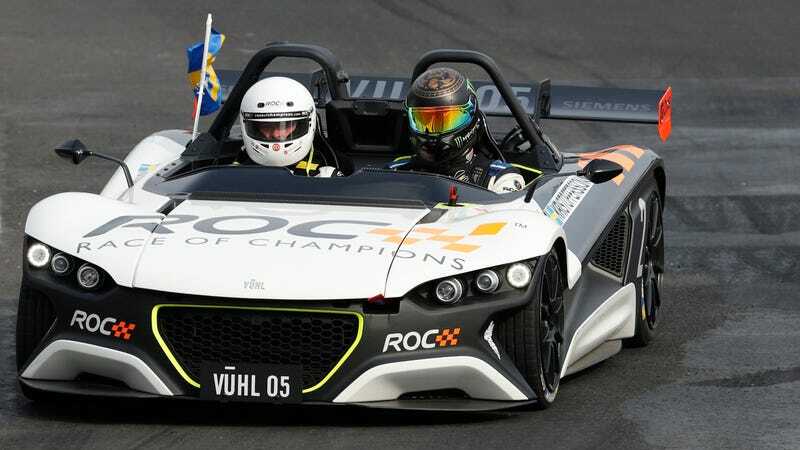 The Swedish driver didn’t lose a race all day, save for a two-to-none loss against Schumacher in the Mexican-built Vuhl in the semi-finals. As the day wound down, it was down to Kristensen to deliver for the team. First, he soundly trounced Germany’s Vettel in the semi when the Formula One champ smacked an advertising banner at the final corner. Then it was on to a head-to-head battle in KTM X-bows between Kristensen and Schumacher where the Dane came out on top. Kristensen himself has never won the individual ROC, but has been runner-up five times. This is his time teaming for a Nations Cup victory. Stay tuned, as a report for the individual ROC will come later in the day.